Although the holidays have ended, winter has only just begun in Utica. 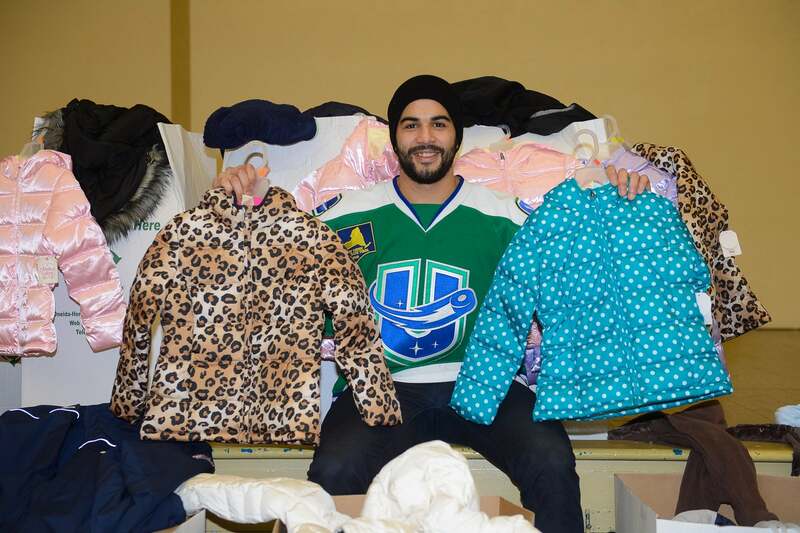 Recognizing the impeding frigid weather, Utica Comets player Darren Archibald set out on a mission to ensure no one was left facing the cold this winter. During three Comets home games in December, Archibald partnered with the Save of the Day Foundation to create the Archi’s Army coat drive to help children in need at the Thea Bowman House. Yet again, the Mohawk Valley showed overwhelming support. Throughout the course of three home games, Comets fans donated 160 new/gently used coats to help Archi’s Army. On December 17, 2015, Archibald personally delivered coats packed into three cars to the Thea Bowman House (with 40 additional children coats he and the players purchased for the drive). Darren then met and helped children with their homework during an after-school program. “Thank you for doing the amazing coat drive for our children and families. We expected possibly 50 coats and were really surprised when 200 arrived and were hand-delivered by Darren himself. Winter has finally arrived and the coats have all found their way to some grateful people,” said Jane Domingue, Director of the Thea Bowman House. The Thea Bowman House began in 1986 as Agape House, an after school program for latch key children in the west Utica area, and continued to expand their programs, becoming the Thea Bowman House in 1996. Today, the organization operates out of two sites in the city of Utica – one at 731 Lafayette Street and the other at the former St. Francis de Sales School at 309 Genesee Street. The Thea Bowman House currently serves over 300 children ages 18 months through 18 years.